A woman who survived a fiery crash with a tractor trailer that killed five of her Georgia Southern University classmates has been awarded $15 million by a jury for her injuries. In this issue, we’ll talk about the case. In April 2015, the victim and three of her classmates were in a Ford Escape, sitting still in traffic because of an earlier highway auto accident. Three other classmates were behind them in a Toyota Corolla. The truck driver, who later admitted that he saw the parked cars but failed to react, drove over the top of the Corolla before striking the Escape. Five of the students tragically lost their lives. The victim in the lawsuit suffered a traumatic brain injury, and will require professional care for the rest of her life. She and another student were the only survivors. The driver pleaded guilty to nine (9) criminal charges stemming from the accident – including five (5) counts of first-degree criminal homicide. Under a plea deal, he was sentenced to five (5) years in prison and five (5) years of probation. According to the victim’s lawyer, the driver was busy transferring data on his cell phone “for more than 40 minutes before the wreck” and was uncooperative with authorities about his phone use. Evidence presented in the trial revealed that the truck driver was well rested, despite earlier claims. However, while he wished he could explain why he didn’t react after seeing the parked cars, he gave no explanation. In their decision to award $15 million to the victim, the jury placed 100% of the fault for the accident on the truck driver. The other student who survived the crash received a $5 million settlement before the trial. 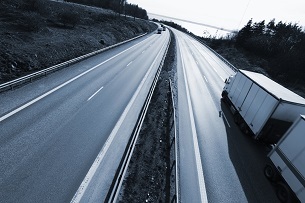 Accidents involving large trucks can easily cause serious injuries. If you’re involved in such an accident, it’s crucial that you understand your rights, and not let trucking corporations or insurance companies bully you into taking a low settlement offer; they are not on your side. Instead, call Barber & Associates. We’ll aggressively fight for your rights and fair compensation for medical bills, future treatment, lost wages and more. For a free consultation, call us at (907) 276-5858 or reach us via email.